Los Angeles, CA – Controversial rapper Tekashi 6ix9ine was involved in a fight at Los Angeles International Airport on Wednesday (February 21), and the whole thing was caught on video. 6ix9ine’s crew initially kept him out of the confrontation but when fists started flying, he jumped into the fray. The action escalated, spilling out into the streets before eventually settling down. The video showed cops speaking to 6ix9ine after the altercation, and he pointed out that the whole incident was caught on camera. 6ix9ine bragged about coming away unscathed from the brawl shortly after the footage emerged online and promised to share the video with his followers on Instagram. He would soon upload a version of TMZ’s footage with his music dubbed over the audio. “STILL UNTOUCHED ‼️ CHAIN ON ‼️ PROJECT NUMBER 1 IN PREORDERS ‼️ GO PREORDER FOR A SHOUTOUT ‼️ DALLAS TX TONIGHT AT THE GAS MONKEY TOMORROW SAN ANTONIO TX,” he wrote. STILL UNTOUCHED ‼️ CHAIN ON ‼️ PROJECT NUMBER 1 IN PREORDERS ‼️?? GO PREORDER FOR A SHOUTOUT ‼️ DALLAS TX TONIGHT AT THE GAS MONKEY ❤️ TOMORROW SAN ANTONIO TX ❤️? The fight at LAX comes after the polarizing artist, who has come under for fire for his criminal record, spent much of the last week taunting Los Angeles gangs. 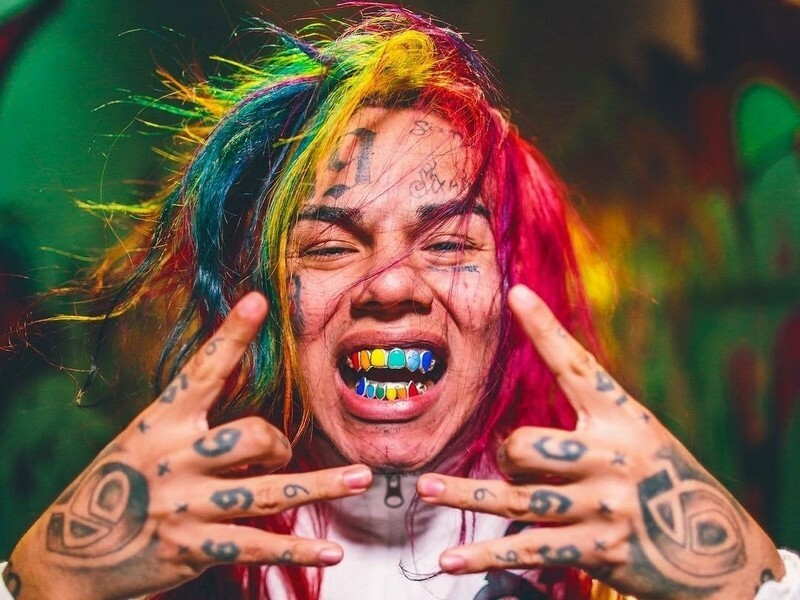 In one of his livestreams, 6ix9ine even claimed he’d meet up to fight anyone in Los Angeles if his debut album got 20,000 pre-orders. @6ix9ine_ says if y’all pre order his tape “day 69” he’ll meet up with any LA n*gga who claim they looking for him. Who do u wanna see him meet up wit? Although 6ix9ine is leaving the West Coast, he’s not escaping hostile territory. Members of Tango Orejon — the most violent gang in Texas — have threatened him, claiming he’s not allowed in San Antonio because the “Gummo” rapper pleaded guilty to “the use of a child in a sexual performance” in 2015. The rainbow-colored haired rapper is scheduled to perform in San Antonio on Thursday (February 22). Bar 23, where his performance is scheduled to take place, has hired extra security as a result, according to KSAT.